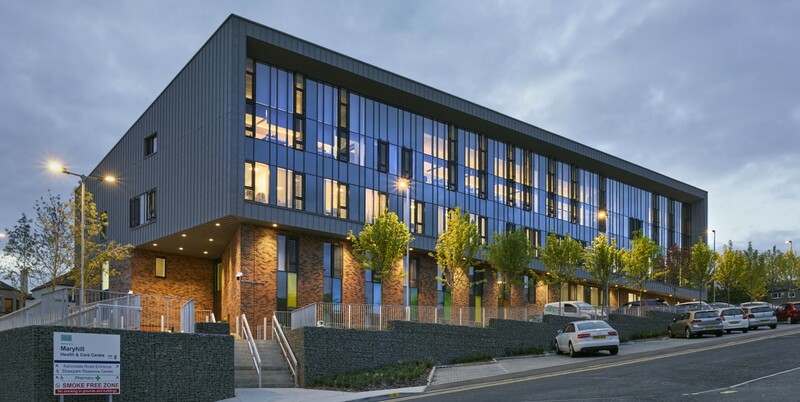 NHS Greater Glasgow & Clyde have opened the £12.4m Maryhill Health & Care Centre, offering a range of primary care services including three GP practices, a physiotherapy gym and adult mental health facility. The health hub is being championed by the NHS for its integration of an arts and environment strategy which seeks to enhance the external and internal environments to improve wellbeing of patients, staff and visitors. 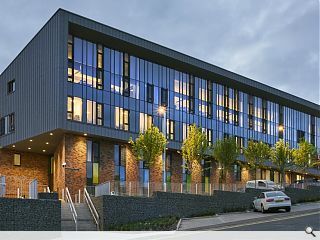 The project was delivered by Morgan Sindall on behalf of Hub West Scotland with Norr architects. With the enormous pressures on health services, the hub, or polyclinic is undoubtedly the way to go. You can get your x-ray there and then, without transport to a nearby hospital etc. I like the look of this response. Looks great, however, with the gym being next door there was already inadequate parking which this site has eaten in to, I really hope they have sorted this issue.